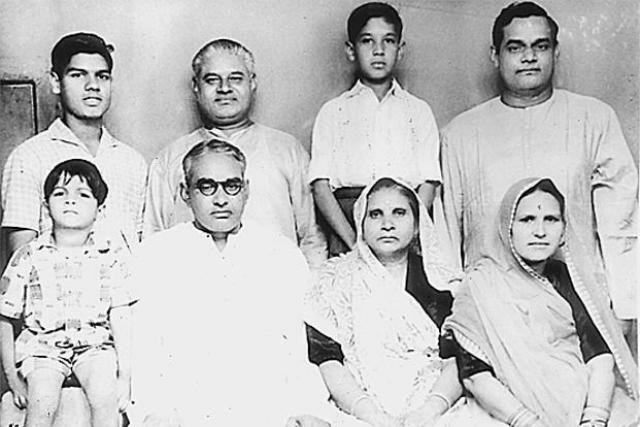 Political Journey 1951: Joined Bharatiya Jana Sangh (a newly formed Hindu right-wing political party) and was appointed its National Secretary of the northern region. 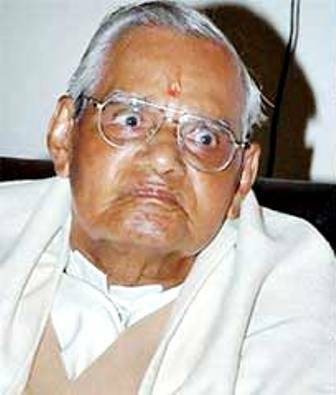 1957: Contested the Lok Sabha elections from Mathura in Uttar Pradesh and lost to Raja Mahendra Pratap. 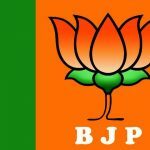 However, he was elected to the Lok Sabha for the first time from Balrampur in Uttar Pradesh. 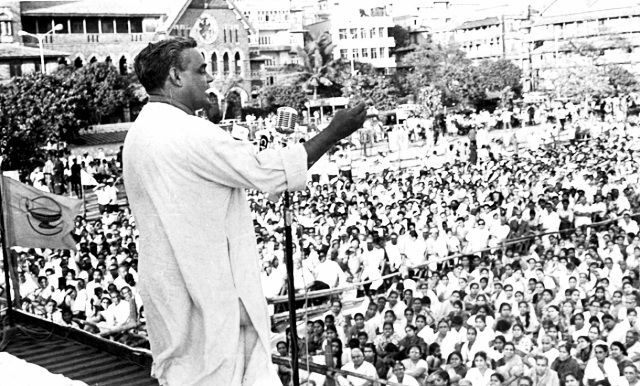 1968: Became the National President of Jana Sangh. 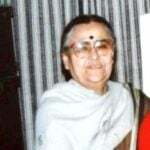 1977: Became the External Affairs Minister in Morarji Desai's Cabinet. 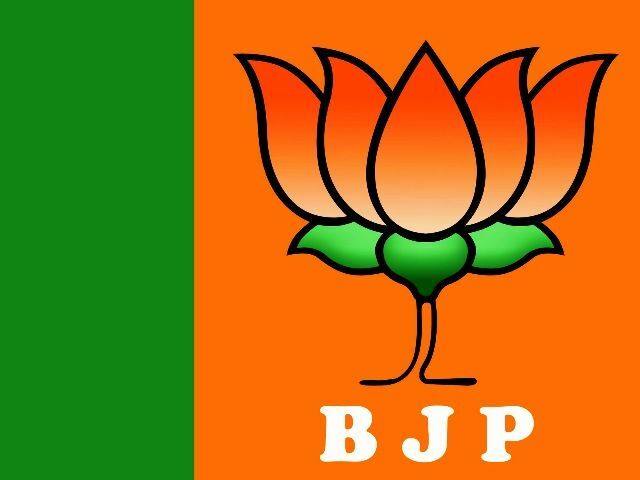 1980: Founded Bharatiya Janata Party (BJP) along with his colleagues and became its first National President. 1996: On 16 May, he became the 10th Prime Minister of India. 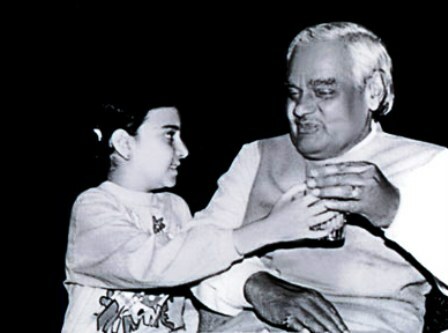 19 March 1998 to 22 May 2004: Again served as the Prime Minister of India. 2005: Took retirement from all political activities. 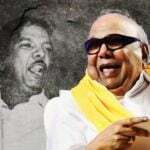 Controversies • In 1975, he was arrested along with other leaders during the Internal Emergency imposed by the then Prime Minister of India Indira Gandhi. 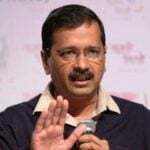 • He was also criticized to incite the public for the demolition of "Babri Mosque" in Ayodhya, Uttar Pradesh. Salary/Pension (approx.) 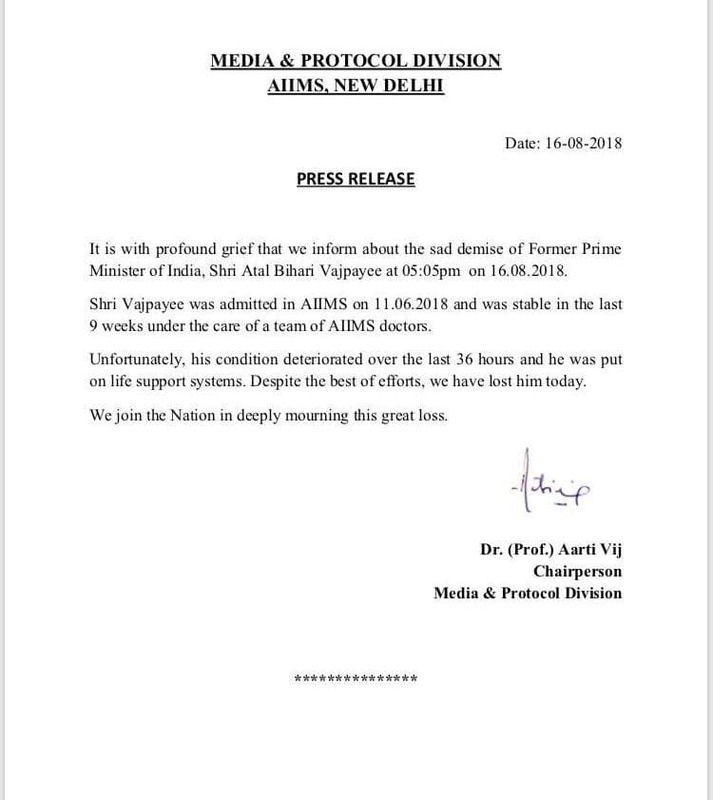 Lifetime rent-free accommodation, medical facilities, secretarial staff of 14, six domestic executive-class air tickets, unlimited train travel, office expenses against actual expenditure for five years, SPG cover for one year. After five years, one personal assistant and peon, air and train travel, ₹6,000 for office expenses. 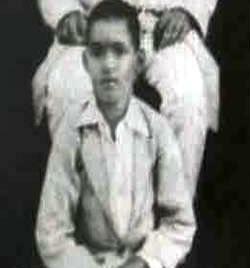 He was born on the day of Christmas in the Gwalior State of British India. 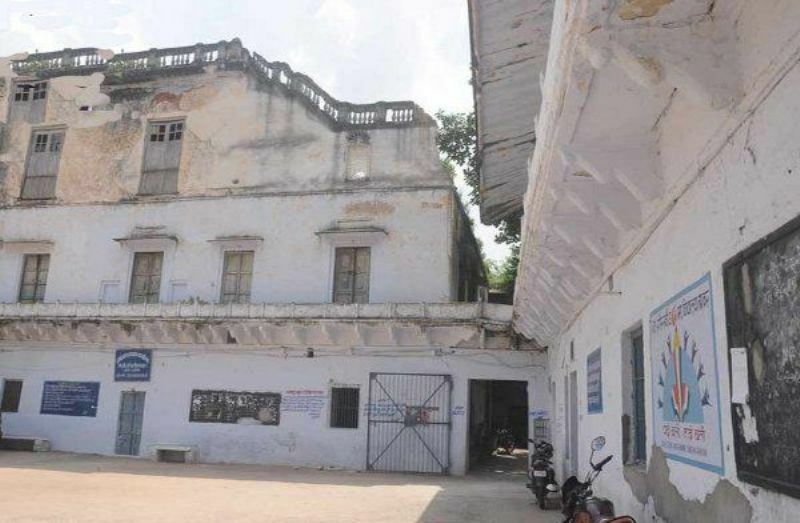 His ancestral village is- Bateshwar in the Agra district of Uttar Pradesh and his grandfather, Pandit Shyam Lal Vajpayee, had migrated to Morena in Madhya Pradesh from Bateshwar. 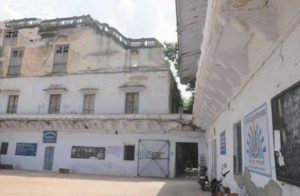 He received his schooling from Gorkhi, Maharaja Bara, Gwalior, the same school where his father, Krishna Bihari, remained headmaster between 1935 and 1937. His father was promoted to inspector of schools and also went on to become the director. His father is also known to have written the school prayer. He was awarded a first class Post Graduate degree in Political Science from DAV College in Kanpur. 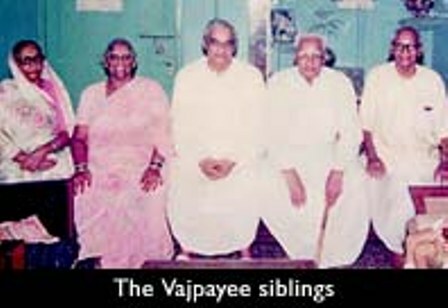 He started his activism with the Arya Kumar Sabha of Gwalior. 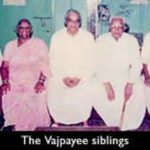 Having been influenced by Babasaheb Apte, he joined the Rashtriya Swayamsevak Sangh (RSS) in 1939 and became its full-time worker (technically a “Pracharak”) in 1947. 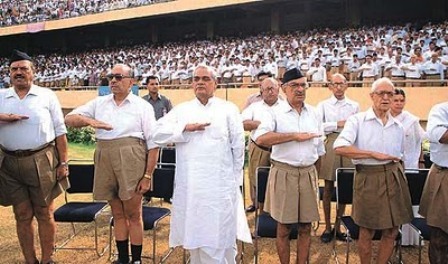 Before joining the RSS, Atal was influenced by the concept of Communism. 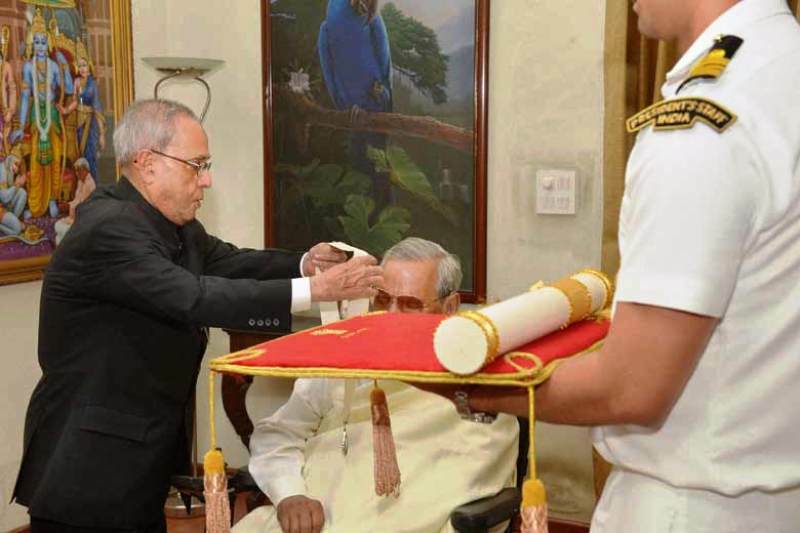 He shared the hostel with his father at the DAV College, Kanpur while studying Law. He had to give up his Law studies due to the partition riots. 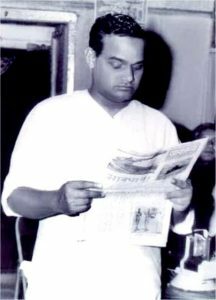 He was sent to Uttar Pradesh as a Vistarak (Probationary Pracharak) and started working for Deendayal Upadhyaya’s newspapers- Panchjanya (a Hindi weekly), Rashtradharma (a Hindi monthly), and the dailies Veer Arjun & Swadesh. 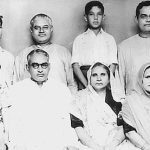 In 1942, he was arrested for 23 days, along with his elder brother Prem, for participating in Quit India Movement and was released on the condition (in written) that he would never participate in any anti-British struggle. 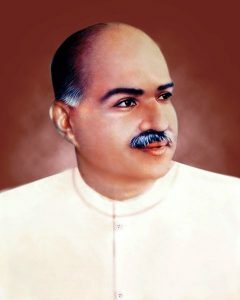 He became an ardent follower and aid to Shyama Prasad Mukherjee (founder of Bhartiya Jana Sangh), and in 1953, he went on a fast-unto-death, along with Shyama Prasad Mukherjee, in Kashmir to protest against the procedure of carrying a permit to visit Kashmir. 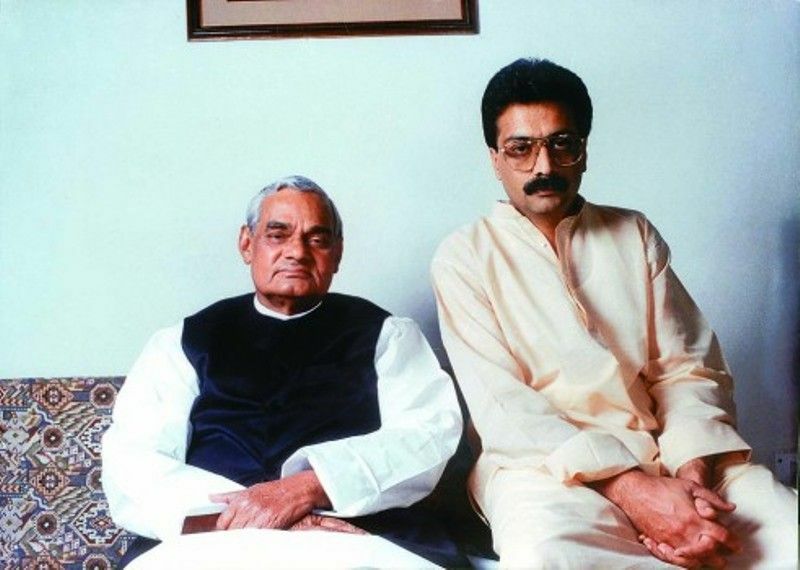 Mukherjee died during the protest, which shattered the young Vajpayee. 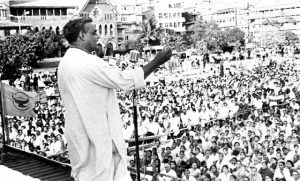 In 1957, Atal was elected to the Lok Sabha in the Second General Elections for the first time from the Balrampur constituency in Uttar Pradesh. In 1977, Atal Bihari Vajpayee became the first person to address the United Nations in Hindi. 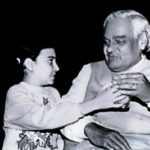 Atal Bihari Vajpayee is considered one of the most successful External Affairs Ministers of India and during his tenure as the External Affairs Minister, he achieved a number of accolades and did some important negotiations. 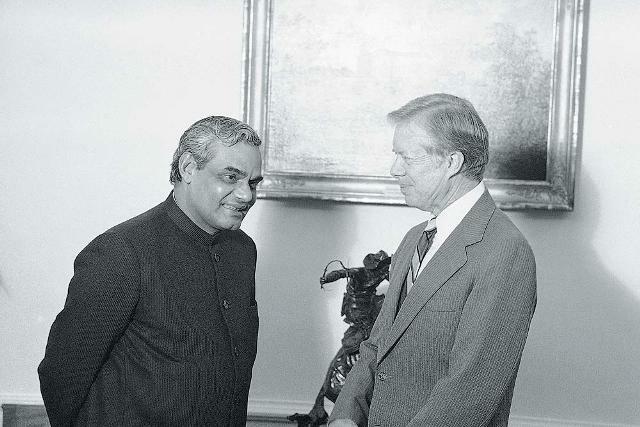 The then US President- Jimmy Carter also made a visit to India in 1978, when Atal Bihari was the External Affairs Minister of India. In his entire political life, there was no serious graft on him. However, he was highly criticized for inciting the mob for the demolition of “Babri Mosque” in Ayodhya, Uttar Pradesh. A video was also surfaced regarding that speech which he delivered a few days before the demolition of Babri Masjid on 6 December 1992. 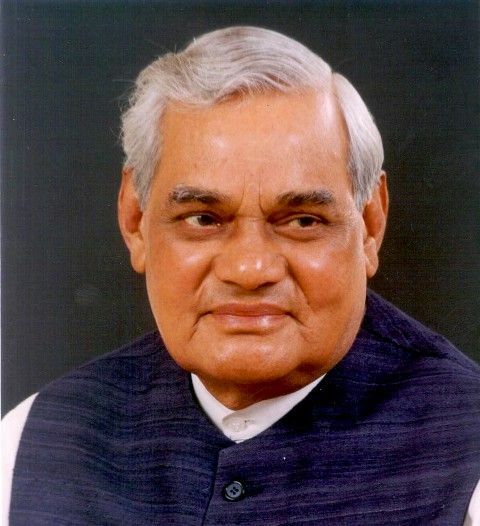 On 16 May 1996, he became the 10th Prime Minister of India and that too for only 13 days; then for 13 months in 1998; and again for a full 5-year term in 1999. 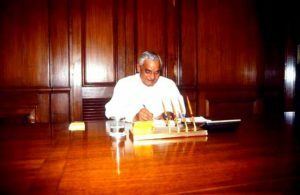 He is the only non-Congress Prime Minister of India to have served the government for a full 5-year term. 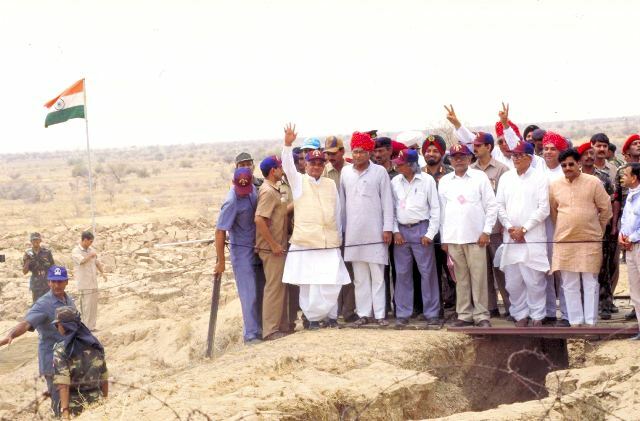 On 13 May 1998, he put India in the league of the World’s elite nuclear club after the successful nuclear test at Pokhran in Rajasthan named- Operation Shakti. On 19 February 1999, he took a bus journey to Lahore in Pakistan in order to build strong relations with Pakistan. 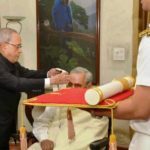 In 2001, he underwent a knee-replacement surgery at the Breach Candy Hospital in Mumbai, and in 2009, he suffered a stroke which impaired his speech. 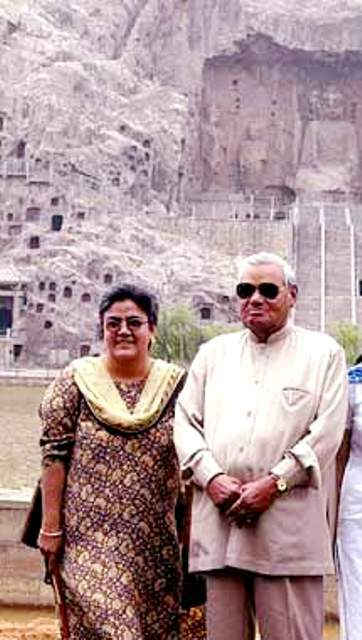 According to reports, Atal Bihari Vajpayee and Rajkumari Kaul (his collegemate in Gwalior) had feelings for each other. 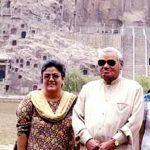 Once, he also wrote a letter to her and placed it in a book in the college library, but he didn’t receive a reply from Rajkumari Kaul. 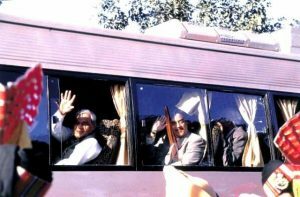 However, this vital part of Atal’s life journey has been out of public discussions. In an interview, he neither accepted nor denied his affairs. 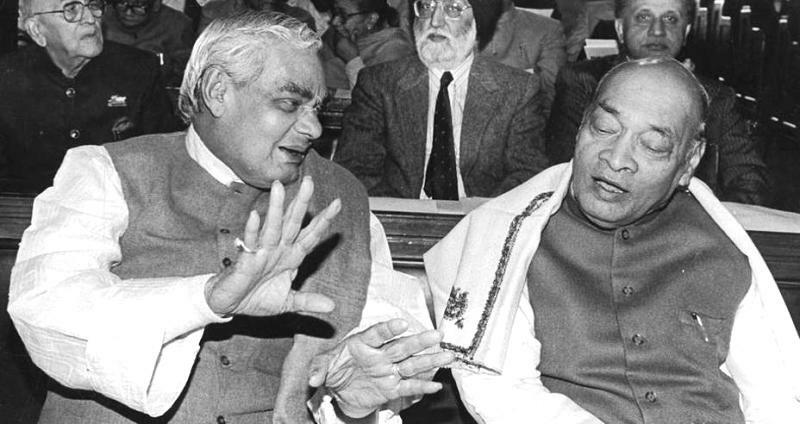 Former Prime Minister of India, P. V. Narasimha Rao, was a close friend of Atal Bihari Vajpayee. He was by far the only parliamentarian who had been elected from 4 different states- Uttar Pradesh, Madhya Pradesh, Delhi, and Gujarat. 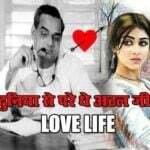 He is also considered one of the finest poets of India, and he had written a number of inspirational poems. 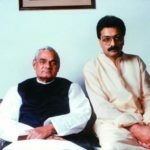 His poems have also been used in the entertainment industry, and many acclaimed Bollywood playback singers including Lata Mangeshkar and Jagjit Singh have lent their voices to some of his poems. 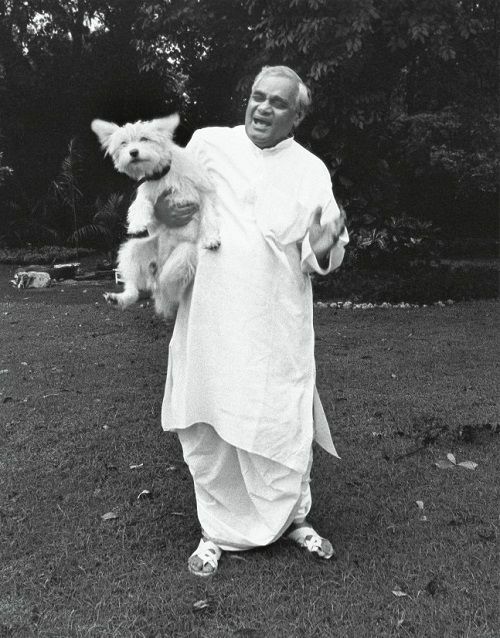 He remained a Member of Parliament for 47 years (2 times from the Rajya Sabha and 11 times from the Lok Sabha). Apart from being a liberal politician, Atal was also very affectionate towards the animals. 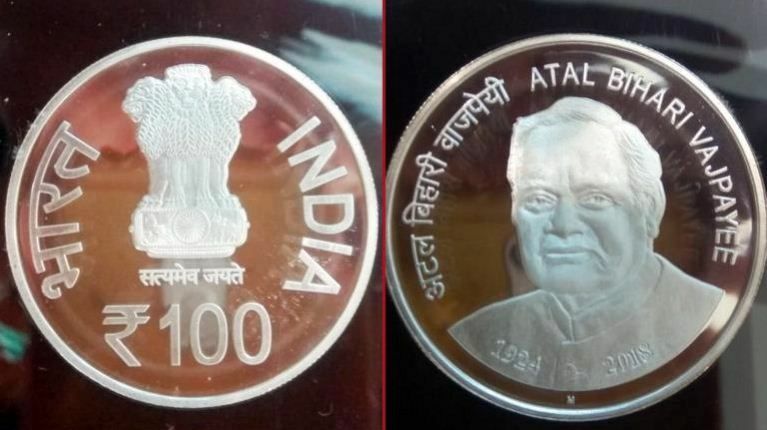 On 24 December 2018, a day before Atal Bihari’s 94th birth anniversary, Prime Minister Narendra Modi released ₹100 coins in memory of him. 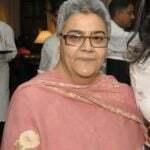 After suffering from a chronic illness, he left this world forever on 16 August 2018. 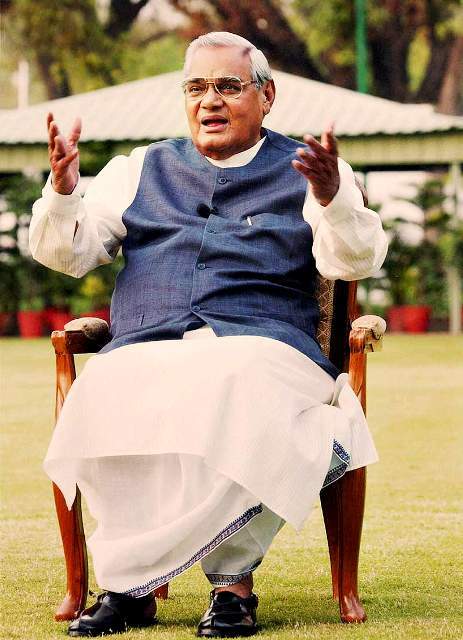 Click Here to view the video of Atal Bihari Vajpayee’s biography.